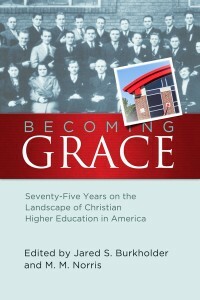 A new book written by in celebration of the first 75 years of Grace College and Seminary will soon be available. The book may be ordered at a pre-release price of $15.99 at bmhbooks.com. After March 31, when the book is expected to be available, the retail price is $19.99. 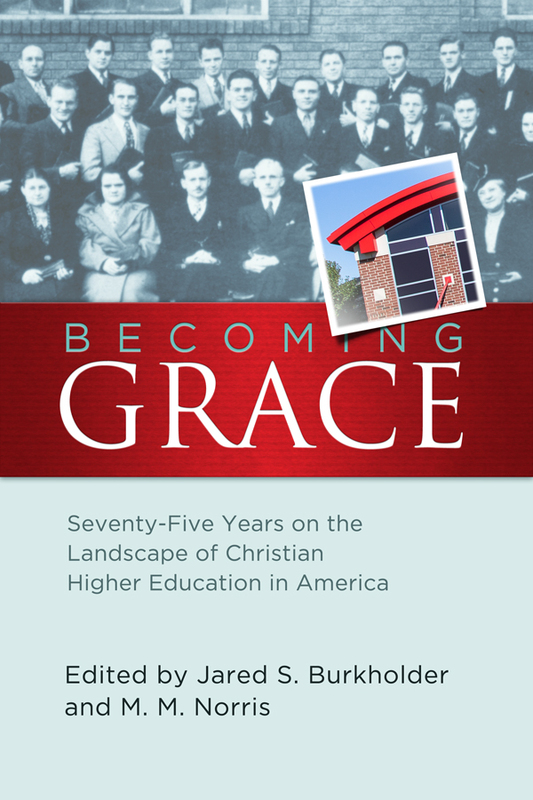 Becoming Grace, Seventy-Five Years on the Landscape of Christian Higher Education in America is a history of Grace College and is focused on broad academic conversations. Co-edited by Grace College history professors, Jared Burkholder and Mark Norris, the book explores the developments of the schools in an era of change and in a fresh light. Each chapter was written by a Grace faculty member and first presented as part of a series of forums held on campus during 2012-2013. Those sessions also included a response by a faculty member from another school. Contributors include Frank Benyousky, Robert G. Clouse, Christy Hill, Tiberius Rata, Kim Reiff, Paulette Sauders, Jim Swanson, Juan Carlos Tellez, Terry White, Jeff Bach, Perry Bush, Timothy Erdel, Shirley Mullen, and Steven Nolt. “This is the best kind of institutional history: at once celebratory and critical, addressed to a particular community and yet also participating in larger scholarly conservations,” says Christopher Gehrz, chair of the Bethel University Department of History and editor of The Pietist Vision of Christian Higher Education: Forming Whole and Holy Persons. The book is published by BMH Books, the publishing arm of the Brethren Missionary Herald Company. ISBN number for the 247-page paperback is 978-088469-312-3. It will also be available at local bookstores and online retailers such as Amazon and CBD.com. An e-book version will also be available.